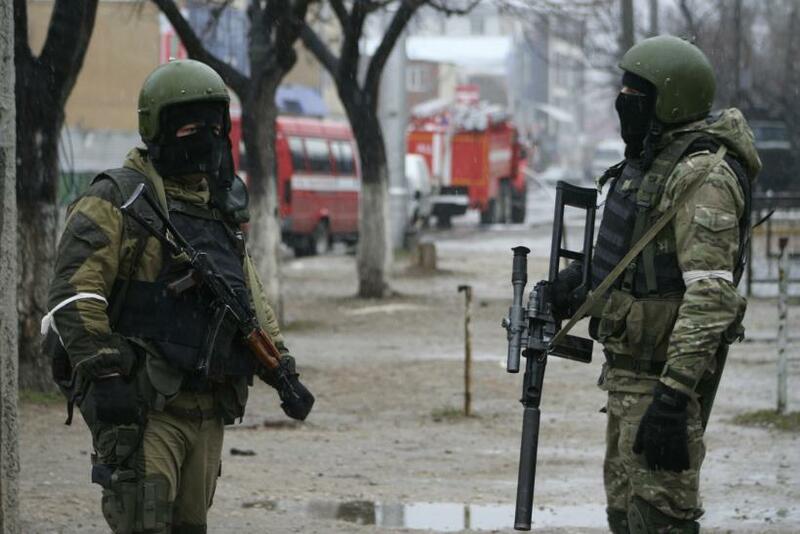 Islamic State Group Attacks Russian Military Base In Dagestan Region Of The Northern Caucasus? Islamic State group fighters operating in the North Caucasus region of Russia claimed they had attacked a Russian military base in the southern Dagestan region Wednesday, according to Michael Horowitz, a geopolitical and security analyst at the risk consultancy firm Levantine Group. The alleged attack in the predominantly Muslim region was not confirmed, but came after months of rumors that ISIS was attempting to recruit experienced fighters from the region to fight in Syria and Iraq. The region has long been courted by ISIS for its close proximity to Europe. In November 2014, the leader of the Caucasus Emirate terror group was ousted from his position when mid-level commanders switched their allegiance to Islamic State leader Abu Bakr al-Baghdadi. Russian President Vladimir Putin and Chechnya’s Kremlin-allied president, Ramzan Kadyrov, have both publicly denounced the Islamic State group’s presence in the region. In July, Kadyrov said that ISIS' claims that it was in control of the North Caucasus regions of Russia were false. "This statement is nothing more than a bluff. I don't think that a few surviving bandits who are still hiding in the woods can provide serious help to radicals from the so-called Iblis State," he continued, using the Arabic word for "devil" to refer to the terrorist organization. "These thugs have no chance at all here. ... Nonetheless, we're not ignoring the threat that the Iblis State could pose, and so we will continue working to not allow the spread of this contagion in Chechnya. We will mercilessly destroy devils and bandits." In late August, Egypt and Russia supported the creation of a broad anti-terrorist coalition, which would include Syria. “We underline the fundamental importance of the formation of a broad anti-terrorist front involving key international players and regional countries,” said Putin on Aug. 26. Chechnya and Dagestan are among the 13 regions of the North Caucasus within Russia, bordering on Georgia and Azerbaijan.